After breakfast, drive to Cherai beach- most beautiful and cleanliness beach. On arrival transfer to resort, after relaxation enjoy swimming, surfing and sunbathing on the Cherai beach. 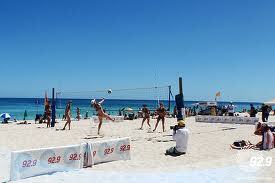 After lunch play beach game like Volley Ball, Race and etc. At the time of Sunset enjoy the lovely ambience on the beach. Overnight at resort. After breakfast, rest of the is free for leisure on beach and play beach game. Overnight at resort. After breakfast, drive to Munnar- world famous hill station with native flora and fauna, on arrival transfer to hotel. After relaxation visit Anamudi- most famous and ideal place for trekking. Later visit Rajmalai wild life sanctuary- known as Eravikulam National Park and it is the house of Mountain Goats, Ruddy Mongoose, Dusky Striped Squirrel, Atlas Moth, Nilgiri Langur and much more animals. Later visit Kannan Devan Hills- Famous for Tea and Coffee crops. Overnight at hotel. After breakfast, drive to Periyar- famous for Periyar National Park and Wildlife Sanctuary, on arrival transfer to hotel. After relaxation visit Periyar National Park & Wildlife Sanctuary- known as reserve for Elephants and Tigers. In this sanctuary enjoy the Safari Cruise with the attractive view of Elephants, Sambar Deer and more animals flocks around the Periyar lake. In the evening visit Spice Garden- to view different varieties of spice like Clove, Pepper, Vanilla, Tea, Ginger etc. Overnight at hotel. 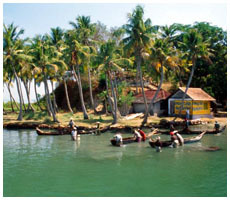 After breakfast, drive to Kumarakom- famous for backwater tour with a wide range of flora and fauna. On arrival transfer to resort, after relaxation visit Kumarakom Bird Sanctuary- known as Vembanad Bird Sanctuary & a paradise haunt for migratory birds. In this sanctuary you can enjoy the viewing of many species of birds like Marsh Harriers, Darters, Brahminy Kites etc. Later enjoy the nice view of Fishing- the traditional work of Kumarakom people. In the evening enjoy the Toddy- the local wine. Overnight at resort. After breakfast drive to Alleppey- known as Alappuzha and world famous tourists attraction for the Backwater tour in Kerala, through Houseboat. 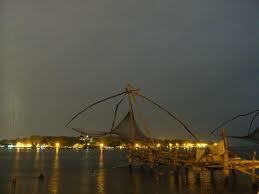 Moving towards Alleppey, enjoy the viewing of nature beauty with ethnic Kerala cuisine. In the evening enjoy the fishing with the view of tiny birds flock. Overnight at the houseboat.